The Dachshund are supposed to be full of energy, but not this one and not on that day. It wasn’t even summer and it wasn’t that hot. He’s been walking on the beach and now he was all pooped out. The Dachshunds were created in Germany to hunt badgers. They became very popular as pets in the 19th century. Then they almost disappeared from Western Europe and North America during the first half of the 20th century from World War I to the mid-1950s. When cartoonist wanted to represent Germans, they often use Dachshunds as satire. 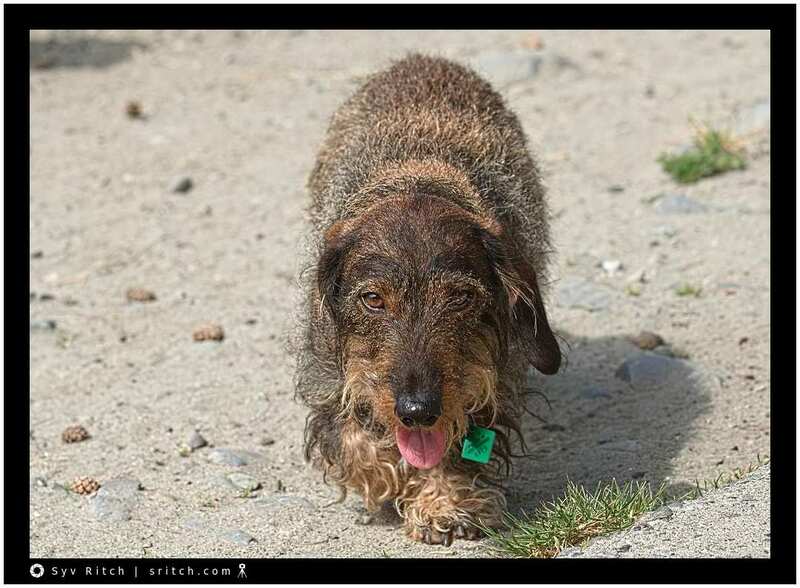 But since then, the Dachshunds have made a big comeback, and they are popular again.